Gearing up for the festive season? This is a guest post from Christy Sommers, with an important message about effective charitable giving. With winter holidays around the corner, many folks feel compelled to reach a bit deeper into their pockets for those who struggle at this time of year. In the United States, the Salvation Army sends bell ringers to gather small donations outside of grocery and department stores, local television and radio stations sponsor families in need, and school children package up Christmas gifts to send to refugees. Large chain grocery stores also participate by offering bags filled with staple foods, which shoppers can purchase at a fixed rate and which can then be donated to a local food bank. While these programs do contribute positively by raising awareness around hunger in communities and encouraging shoppers to give, it is important to think critically about this model of donation and ask questions such as: Is it an efficient use of money? Does it address the root causes of hunger? Do you know where your contribution is going? When you pay the full price for food to be donated, who benefits from the profit margin? None other than the supermarket itself – hardly a needy recipient of your charitable impulses. When purchasing from the grocery store directly, you pay a retail price for the goods that you buy, not the wholesale price that the retailer pays. When you pay the full price for food to be donated, who benefits from the profit margin? None other than the supermarket itself – hardly a needy recipient of your charitable impulses. In the case of the pre-packed bags for the food bank, a limited selection of items is included, which does not include any fresh or perishable items. As we all know, a variety of vegetables, fruit, and protein sources are also important for a healthy diet, but they are also difficult to store and impossible to stockpile. 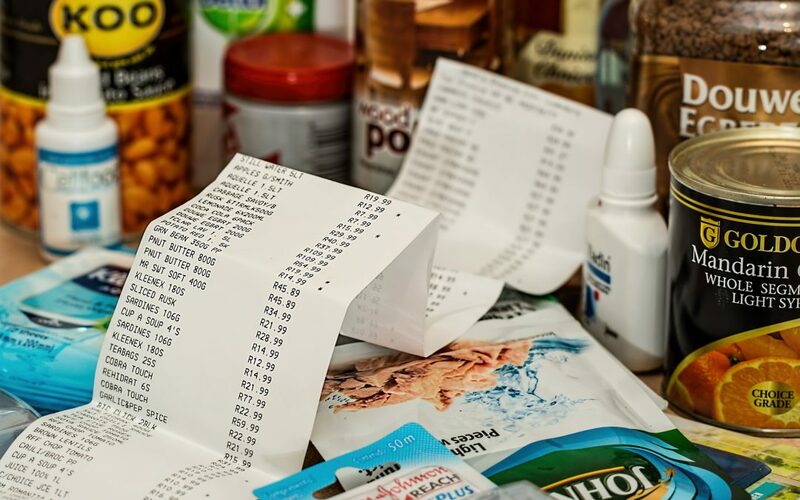 By providing cash donations to a local food pantry, you instead allow for the pantry to spend according to its needs, to make dynamic food purchases for items that are in demand, and to buy them in bulk at reduced wholesale pricing. Food donations also do not contribute to the overhead costs of the organization distributing the food. The organization must be able to pay and train its staff, pay its monthly rent, communicate with donors and cover any other administrative costs in order to sustain its operations. A cash donation to your local food pantry provides much more flexibility in spending and is a way to ensure more of your money gets to the cause. You also ensure that you get the tax deduction, not the grocery store. Finally, remember that while the thought of those going without may be more on your mind during the holidays, hunger exists year-round. Arranging to give a monthly donation ensures more consistent annual funding for food banks, both for flexible food purchases and overhead costs. One of the problems with this kind of checkout charity is that it literally allows us to “check out.” That is, we can get complacent and not research where our money is actually going and who is benefitting. Similar to programs that ask you to add $5 onto your restaurant bill, the question becomes more about whether you can spare the $5 (hint: you usually can) and less about whether you are making an educated choice about where those dollars are going. When faced with a hefty festive grocery bill, buying that food packet is an easy way to alleviate guilt about privilege and over-consumption without having to do extensive research about where it is going or if it is helping. Remember that while the thought of those going without may be more on your mind during the holidays, hunger exists year-round. But there is one more question that you should be asking before offering your holiday donations: Is your contribution aimed at alleviating symptoms or addressing a root cause? Tackling hunger in the moment is a valuable action, but this should be paired with longer-term efforts to address the causes of poverty and hunger. Though food banks are a critical resource in alleviating hunger, they do little to address the root causes of why so many people in the world’s richest countries are reliant on food handouts, and many would say they even prop up the systems that keep those people in poverty. Food pantries have also come under fire for removing agency and dignity from recipients by denying them the choice over what they eat. Refugees and people from ethnic minorities are especially disadvantaged by being unable to obtain food that is culturally familiar. The bags of pre-packed items for the food pantry at the grocery store remind us that not everyone can afford the food they need. With that reminder, rather than purchasing their suggested items, we can instead follow through with some critical thinking to more efficiently address both the immediate hunger and its causes. If you feel moved to donate when you get to the checkout, instead use this as a reminder to make a cash donation to a food pantry or other local charity (remembering to do your due diligence – folks in the US can use Charity Navigator if you don’t know where to begin). Buy a gift card for neighbors or others that you know may experience a shortfall in funding over the holidays, allowing them to have agency over their own purchases. Consider monthly giving for your charities of choice to contribute to them having more consistent and dependable funding year-round. Support organizations that are tackling the root causes of hunger, such as WhyHunger which supports grassroots movements for food justice, or local foods coalitions like this one, that provide classes on gardening, cooking and nutrition. Lobby local, regional, and national politicians to address the causes of hunger and poverty at the policy level, including examining the issues of rising food prices, low pay, personal debt, food deserts, and other factors that contribute to food insecurity. Pressure food suppliers or brands to offer their products at cost to causes that need them. Christy Sommers is a born and bred Midwesterner from Iowa, USA. She has spent much of her adult life working in Asia and Africa, and she currently works as a Program Director for student travel organisation Where There Be Dragons. Her love for animals is combined with her passion for social action with her “Goats in Sweaters” photography project, which provides an alternative view of the Indian subcontinent and annually raises money for Asha Deep Vidyashram, a school for underprivileged children in Varanasi, India.